The Engineering Division of Alan Beckwith Macbro is capable of manufacturing a wide range of manufactured and fabricated plant and equipment tailored to the foundry industry. We manufacture the MACBRO range of shell core and shell moulding equipment. 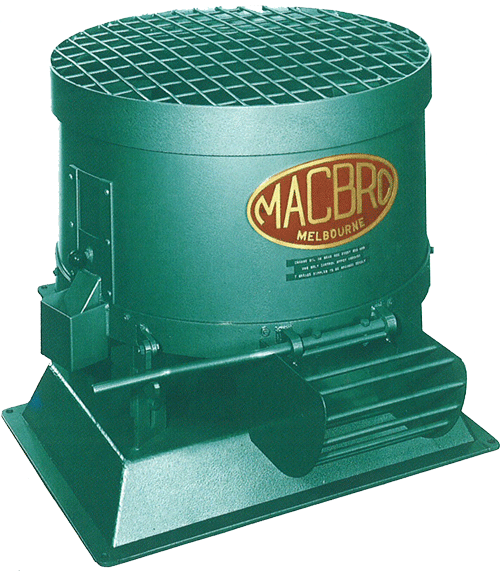 Macbro machines have been used in the industry for more than 50 years and have proven to be strong, rugged and reliable. Gas or electrically heated shell core machines up to 610mm x 610mm or shell moulding equipment up to 810mm x 510mm is made. Alan Beckwith Macbro carries a full range of spare parts or if required we can recondition your old machine. The Macbro range of sand mills are of the muller type having two muller wheels which are connected to a revolving cross head by link arms. These allow the muller wheels to rise and fall, thereby optimising mixing without over mulling the material. Three sizes are available 2'6", 3'6" and 4'6" diameter and a batch capacity range of up to 100 kilograms, depending upon the consistency of the material being milled. They are made to order, therefore you can decide whether you want legs or a base, and also the height at which it will stand. Safety features include, wire mesh guard over the top of the machine, guard on the discharge door and a sampling door. A full range of spare parts and a recondition service are available. We also manufacture moulding boxes with hardened pines and bushes, furnace formers to your specifications, ladles and ladle formers. Our engineering work shop also has the facilities to profile cut, do plate rolling and general fabrication work. Alan Beckwith Macbro Pty Ltd is staffed by experts whose qualifications and industrial experience are at your service. Please feel free to contact or visit us to see how we can improve your casting costs and quality.